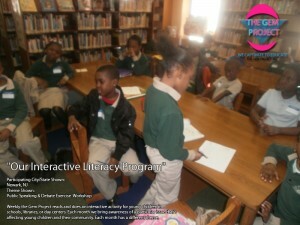 The Gem Project started public speaking workshops and debate exercises, which targeted youth since last February 2011, through our interactive literacy program. 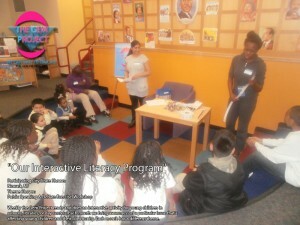 It was an adventure hosting this program at different sites in Newark, NJ. When we started the program we first had a discussion with our group of youth about their views on speaking. We came up with a list of what determined an effective speaker vs. an ineffective one, according to them. All children were aware of speeches they liked and did not like when it came to listening to our skits, which we acted out for them the day of our program. We incorporated a debate exercise with select sites, which challenged many youth to strategically express personal views on any subject matter by uniting it with supporting details to strengthen their arguments and complete thoughts. 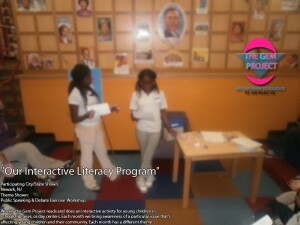 Students were divided into two teams, which were either PRO/CON a presented issue. The topic had to deal with the eradication of school vending machines. Each team picked their representative to argue their points across. It was a beautiful sight to see, especially when older children helping younger children on how to make their statements hold more weight. Throughout the program youth were awarded. Have you seen a kindergartner develop a speech before peers? Well, if you have not. It’s like seeing a flower emerge before your eyes. There is something special about witnessing the transition of a child taking courage about things they once thought they had the inability to overcome. It’s like watching a flower bloom. 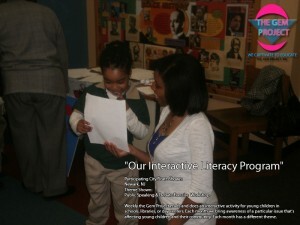 The Gem Project hand designed from scratch what we call, “The Gem Project Speech Development Worksheets.” It allows children to craft their own speech in a few minutes. They are able to dissect the important elements of a speech. 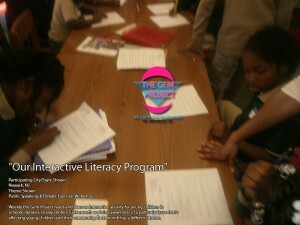 We did this program for children within the ages 4-12. We had 100% participation, not because our children were enthusiastic about the project itself,but because we pushed them and did not give up. We did not accept I can’t, we showed them they can! 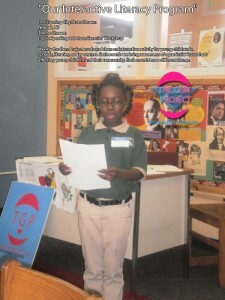 Children can speak loud and clear if you listen and give them a platform.